First of all, Happy Veterans Day! I am so very grateful for the sacrifices those men and women (and their families!) make in order to protect this beautiful country, and the rights we stand for. Second, I would like to present a gorgeous bridal shoot I recently participated in at Eagle Mountain. I loved this shoot. 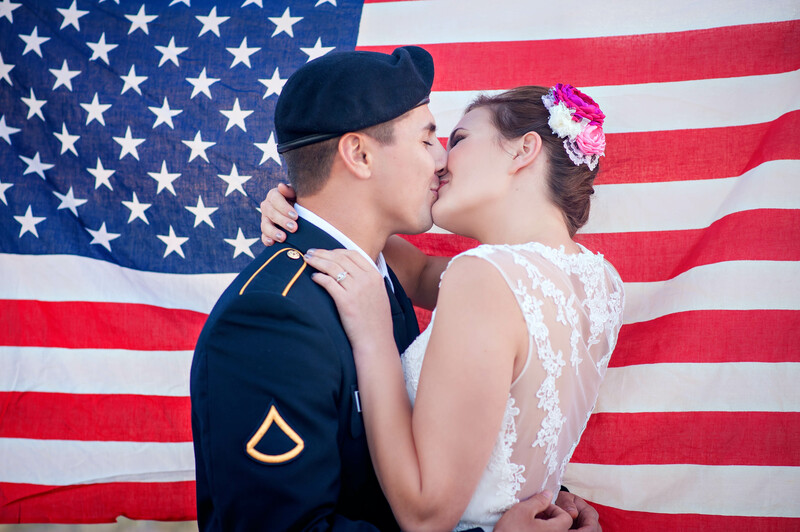 Absolutely gorgeous bride, amazing vendors, and ultimately – I finally got the military theme I’ve been waiting for! And it could not have been more perfect. Many many thanks to the vendors for making this happen! Here’s some photos from the shoot provided by the oh-so-amazing Morgan Slade Photography! Gotta love that candid awkward vendor shot hahaha! That’s me with the lovelies of Cake for Two! They are amazing bloggers – please check them out! & finally the video I did covering the shoot – Love love love! This entry was posted in Uncategorized and tagged agreen, amber, bouquet, bridal, cake, city, day, eagle, films, gown, green, hair, jewelry, make up, military, mountain, national guard, photography, provo, salt lake, utah, veterans, videography, Wedding, weddings on 11/11/2013 by mrsambergreen.